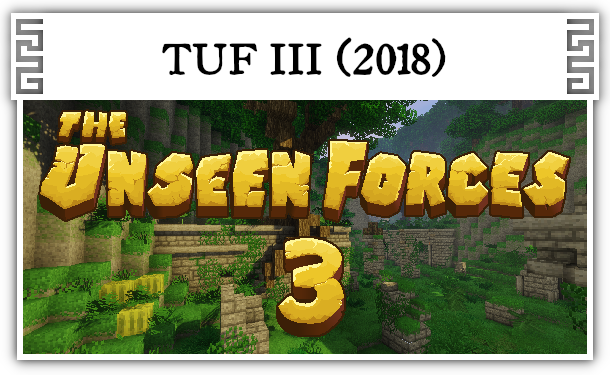 The Unseen Forces III is here! 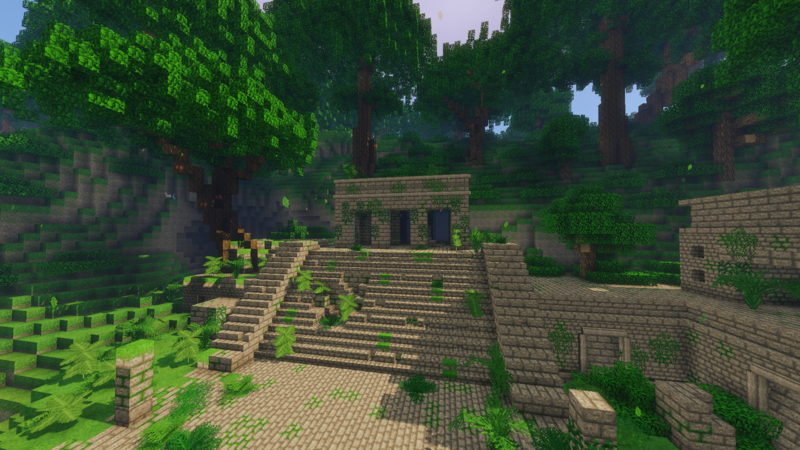 Will you find the gold statue? 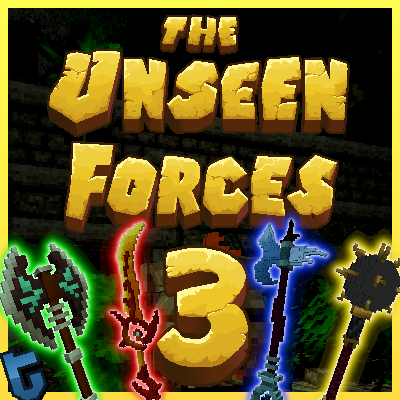 The Unseen Forces III is an Adventure, PvE and Puzzle map. Your principal objective is to find a statue only made of gold. But be careful! During your exploration, many obstacles will come across! Some unseen creatures will hunt you down and deadly traps are waiting for you. You must be prepared for this mission! 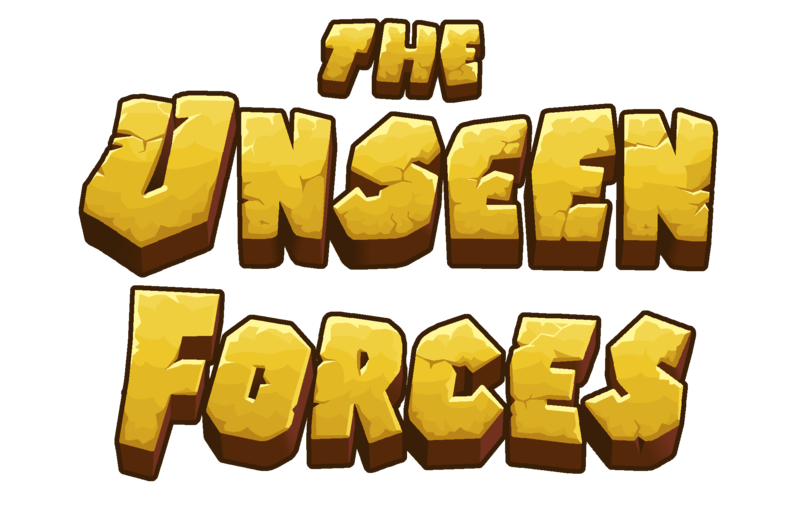 Find the chests to collect powerful weapons, increase your armor protection and health by completing optional puzzles, collect the gems to make a better score. 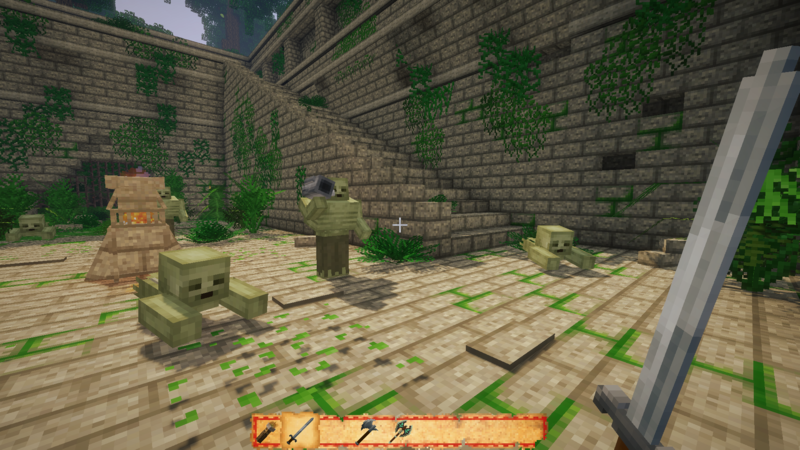 The map is composed of 10 waves of mobs, and one final boss wave. 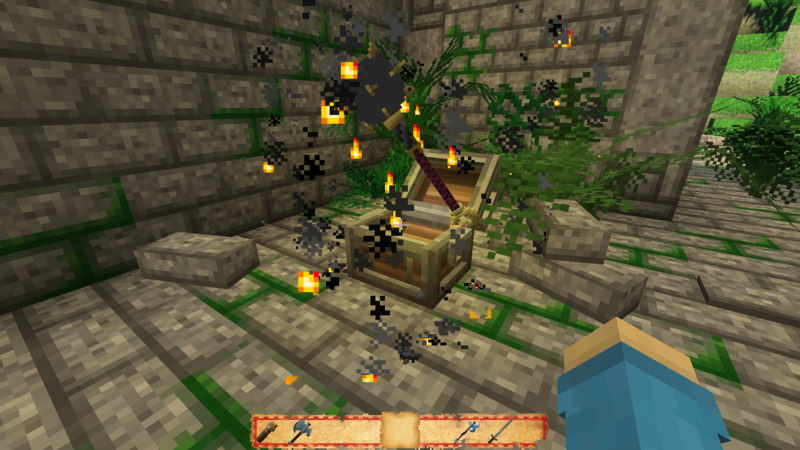 To find the best weapons, collect the gems hidden around the map. The gems increase your luck of getting something better on the chests. 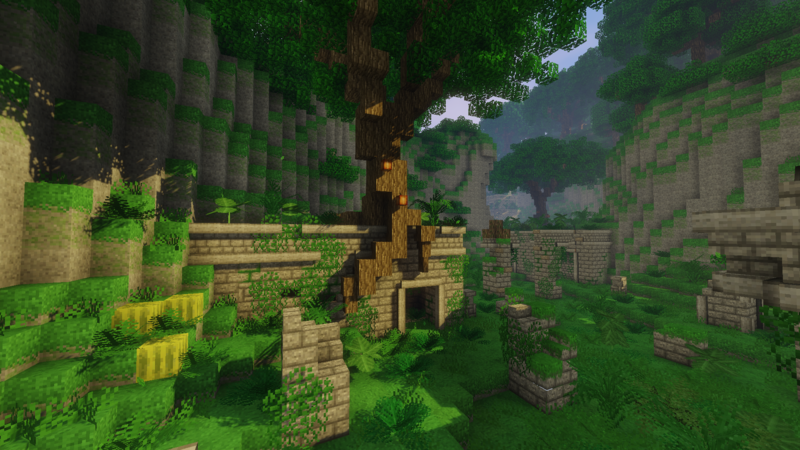 You can play this map in 1.13 vanilla between 1 to 4 players, but the optimal experience is between 1 to 2 players. Does multiplayer work on LAN server? hey is this modded? 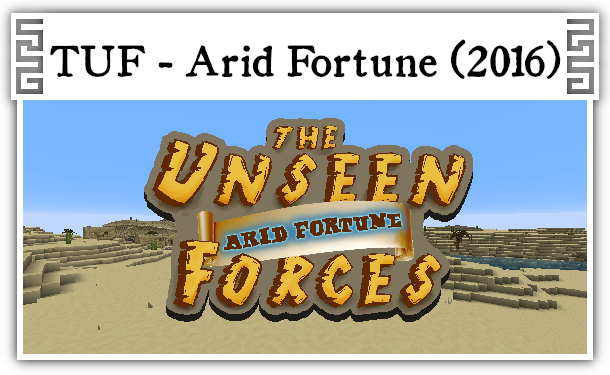 like do i download it to the mod folder? or somewhere else? if elsewhere then...where? how do i do this!?!?!?! This map was a lot of fun. 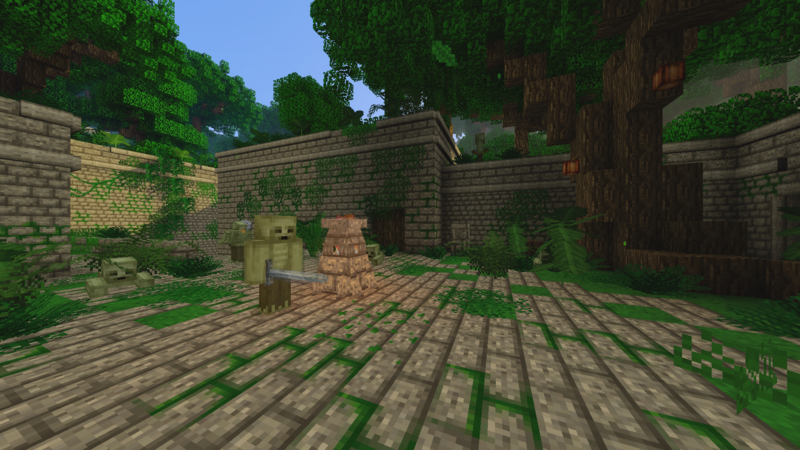 Great job with the building, resource pack and custom weapons. The final wave/mission was much to hard on single player, though I assume it is much more playable in multiplayer. Dude, this is the best map I played. The music and buildings are AMAZING! I really really like the crates, the weapons always give me excitement. Had a lot of fun with my friends! The map is pretty easy to use this server. 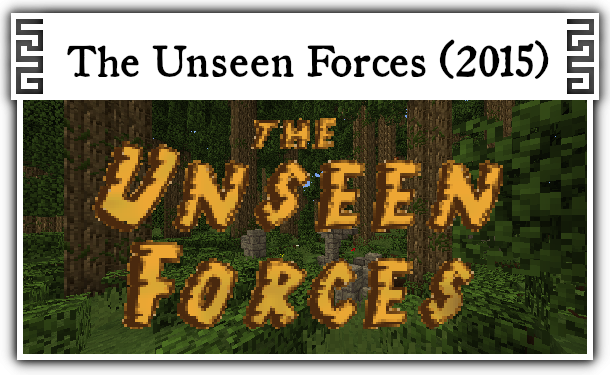 Hope you keep making fantastic maps in the future! The map doesn't seems to work in servers, is there anything I did wrong or is it just not implemented yet? Hey, It's supposed to work on a server, but there are some issues I'm trying to fix. Do your server have plugins? If you played with other players: do they username were yellow? This looks absolutely amazing! I will definately try it out. Thanks! I haven't planned to make a complete texture pack, It would be a lot of work and I don't have the time and motivation for it.